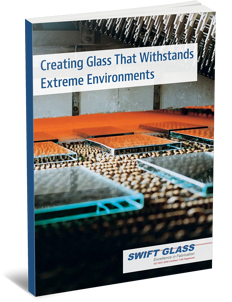 Tough situations demand tough materials, and glass applications are no exception. Industries in marine, automotive, medical, military and other markets require the strongest glass to withstand pressures of all types. In these cases, glass manufacturers utilize a variety of materials and strengthening methods to ensure your glass performs with extraordinary strength. Simply fill out the form at the right to download this free eBook today.